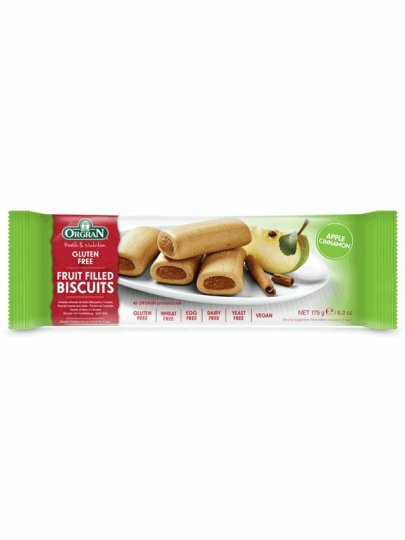 Great biscuits that will delight you with fresh apple and cinnamon flavor. In total, 9 biscuits. Fruit juice (sugar, invert sugar, apples (13%), lemon fiber, humectant (glycerol), gelling agents: pectin, acidity regulator: citric acid, disodium citrate, calcium citrate tetrahydrate, 3%)), flaky flour, tapioca, palm oil, sugar, brown rice syrup, cinnamon (0.4%), picking agent: sodium bicarbonate, vegetable gum (stabilizer) xanthan gum.